Pakistani singer-model Aqsa Ali, who previously defended Ali Zafar against the allegations made by fellow colleague Meesha Shafi, has yet again discarded the accusations as "meaningless and empty." 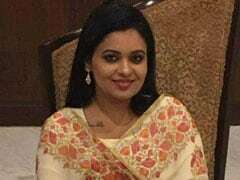 Speaking to news agency IANS, Aqsa, who is also part of Ali Zafar's band, said: "I don't think there's any basis to these allegations, they are pretty empty and meaningless for me." In her interview, Aqsa added: "It took me by surprise, because apparently both of them are friends and they know each other from their university days. I myself am from the fashion industry and I have been working as a model. Now I am following my passion to be a singer as well. I don't think these allegations make any sense, there are so many loopholes in them. I am all in for women empowerment but at least things should make some sense." Last month, Meesha Shafi alleged Ali Zafar sexually harassed her and named him as a repeat offender - claims which Ali Zafar has "categorically denied" in a strongly worded statement. While Meesha Shafi mentioned a particular jam session in her statement, Aqsa Ali claims she was also present at that time and so were other band members and several event managers. "When I read about Meesha telling the world that Ali harassed her at a jam session, I did not want to stay quiet as I was there as well with everyone else in the band. Her manager and the event manager were there as well. I was astonished, as nothing happened at all! We all have pictures, and we all were sitting together. It was a great jam session, everything was great - we also performed in Islamabad after the jam and all went really well," IANS quoted Aqsa Ali as saying. To substantiate her point, Aqsa also mentioned that she has been associated with Ali Zafar for a while now and has never been made to feel uncomfortable during her travels with him for shows and concerts. "I have been working with Ali for a few years and been travelling with him for concerts as well. It's always been a great experience. The exposure, the love and the learning are unconditional. I feel very comfortable while working with him and I always learn something new." Aqsa also highlighted that she's received quite a bit of backlash in the form of rude comments for defending Ali Zafar with her Instagram post earlier but "My message to those ladies is simple. Don't tear one woman to show your support to another woman. That is really not empowerment for me." So as the stories taking turn every minute regard Ali Zafar, MeeshaShafi &#metoo movement, I think as a musician and a woman I should talk about this issue as I was SHOCKED right now with this article of Meesha. She said that her conscious doesn't allow her to say quiet so mine also doesn't allow me. As I am the part of concert crew, I travel intl and locally with Ali Zafar, and I have seen girls throwing themselves at him and his gentlemanly response to that which is so rare of any rockstar. balkay we all travel like friends and we work in a very comfy environment. Today finally Meesha tells us what she says happened to her that Ali harassed her at a jam or did something wrong to her and I cannot stay quiet. I was at this jam session becoz I sing in Ali's band and so was her manager and our entire band. I am astonished that she would take a lie to this level which so many of us can prove wrong. We all have pictures, we were there and event manager was there and it was a gr8 jam session. I am a woman and I would never allow wrong to any woman. But come on , it's a serious matter and we should be really clear on everything rather then putting accusations on people and then saying sorry you cannot question any woman it's wrong. Ali is a genuine person, who treats people around him nicely and has always been a support system for everyone; Accusing some1 is easy but living with the guilt is difficult. As a woman I felt sad with her rude behaviour towards everyone including the band but more I feel bad that she's causing disrespect to this Intl movement of women and all of us female musicians and hard working women. Referring to Meesha Shafi's inclusion of the 'Me Too' tag in the lengthy post she wrote about Ali Zafar, Aqsa said: "#MeToo is a great platform. Meesha's attitude is known in the entertainment industry and I don't think she really needs the #MeToo movement. She has a voice already and has never been scared to use it on anyone. I can't comment on why she did this, but for me she misused #MeToo," reported IANS. Not just Aqsa, singer Kanza Munir, who has worked with Ali Zafar's band on and off for the past three years, had also defended the singer with this Instagram post. I have been working with Ali Zafar on and off since the past 3 years or so and up until now I've been quietly observing the current situation because I am no judge of personal character be it Meesha Shafi or Ali Zafar. However, I stand witness to this particular 'Jam' late last year that Meesha mentions in her interview with The News. The whole house band along with myself and another fellow female vocalist were present during this session and whatever interaction took place between the two was in front of at least 10 other people. All I can say is that this particular statement that she makes here is rather odd. I have toured with the Ali Zafar band a lot of times and all my trips have been really pleasant and professional and we've spent hours jamming together. It would be great if this important movement isn't taken for granted or misused for personal reasons stealing limelight from real causes. Rest, time will tell!! Earlier in April, a sudden tweet on Meesha Shafi's timeline read: "I have been subjected, on more than one occasion, to sexual harassment of a physical nature at the hands of a colleague from my industry: Ali Zafar," who quickly responded with a stern statement saying: "I categorically deny any and all claims of harassment lodged against me by Ms Shafi." He also mentioned he intends to take legal assistance against Meesha Shafi. 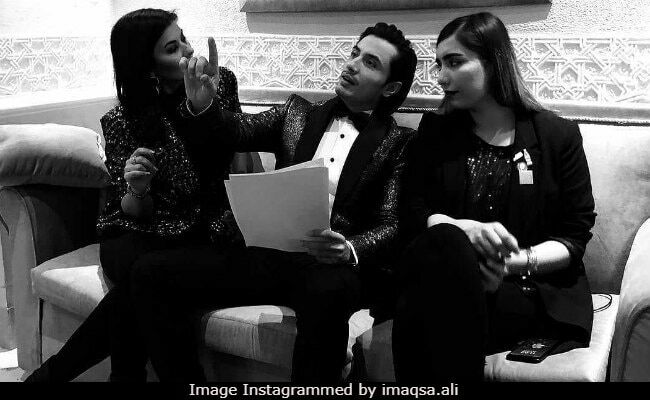 Following Meesha Shafi's claims, several other women accused Ali Zafar of "crossing boundaries of what is appropriate behaviour between friends." Even Singer Momina Mustehsan asked Ali Zafar to "apologise unconditionally" if he's guilty. Ali Zafar, best known for songs like Madhubala and Thehree Si Zindagi, has co-starred with actresses like Alia Bhatt, Katrina Kaif, Taapsee Pannu, Parineeti Chopra and Yami Gautam.